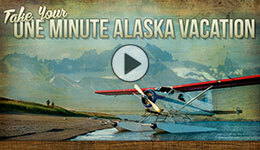 We’ve crafted amazing and inspiring adventures highlighting the best of what Southwest Alaska has to offer. Rivers, Glaciers, National Parks, mountains, and abundant wildlife fill the ever-changing panorama making for an adventurous way to experience the unfolding scenery. Design an adventure itinerary based at Crystal Creek Lodge to trek across the sky of Southwest Alaska. Learn more about our unique Alaska Adventures.